On the lat day in France, we headed back into Paris. We had a three hour drive. Along the way, we stopped in Chartre, France for a few hours. This city is about an hour outside Paris and I really liked it. It was a beautiful sunny day. 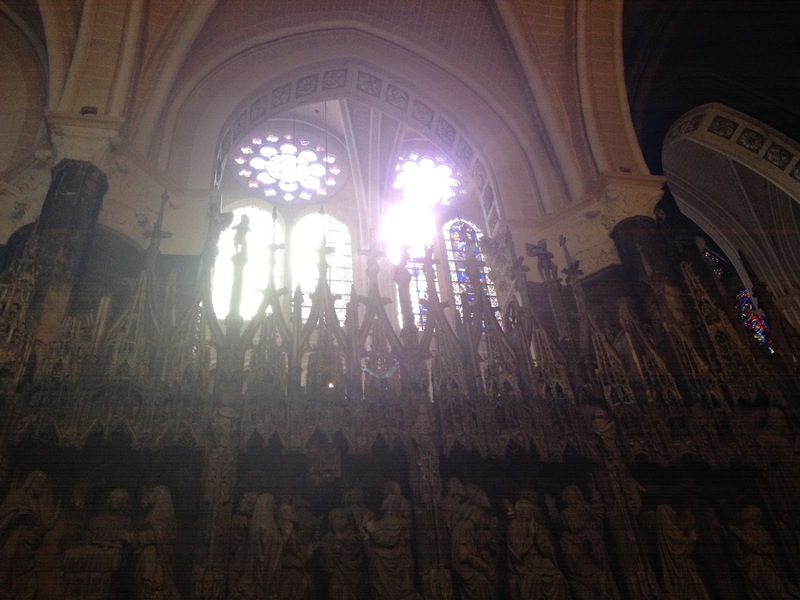 We visited Cathedral Basilica of Our Lady of Chartres, a medieval Roman Rite Catholic cathedral. It seemed to jet up out of the city. It was beautiful. 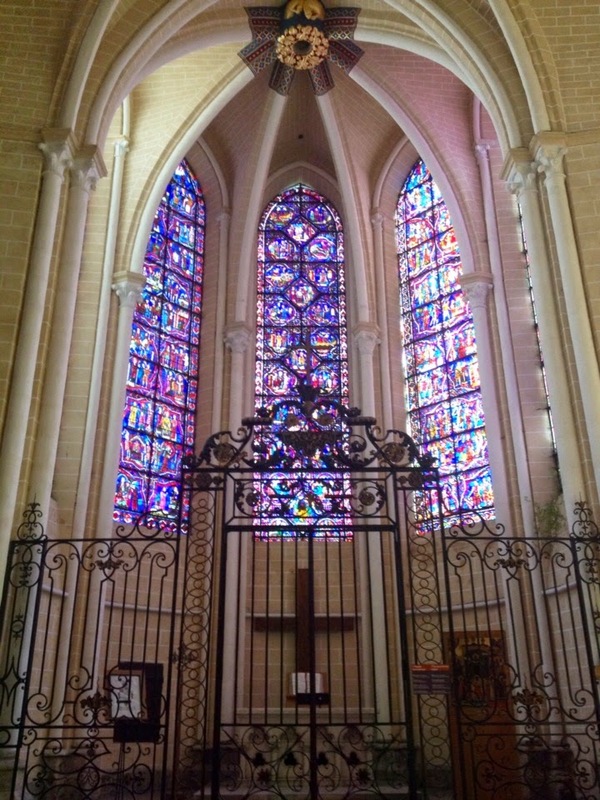 The stained glass windows were magnificent. 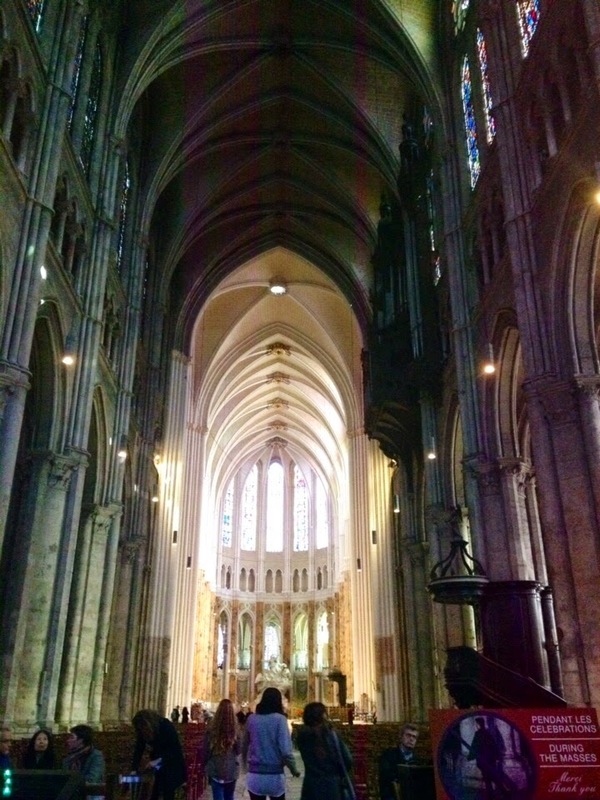 Maybe the best out of all the cathedrals we visited. After spending time exploring the cathedral, we walked around the city which was another great city for shopping! 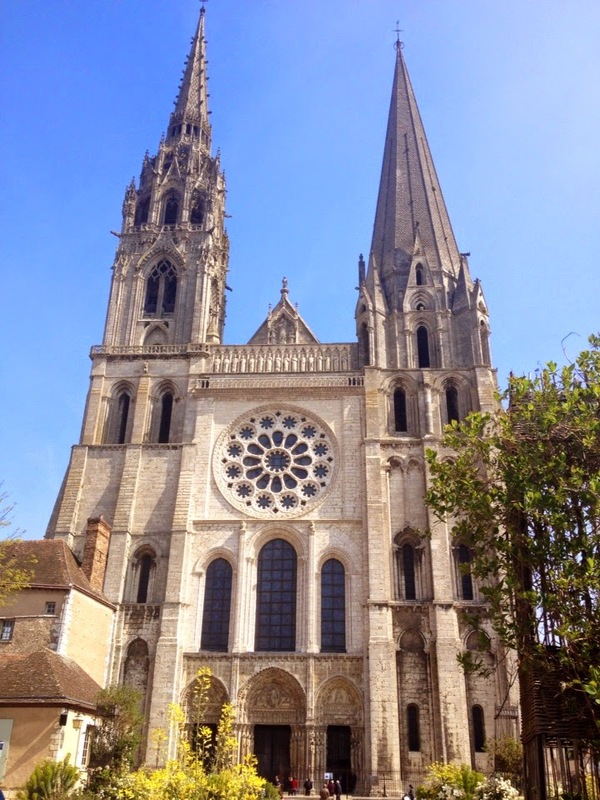 Andrea and I found a restaurant in a pretty open square where families walked by and dogs played.My impression was that Chartres is a family friendly city. We arrived in Paris around 4:00pm and went to Montmartre. 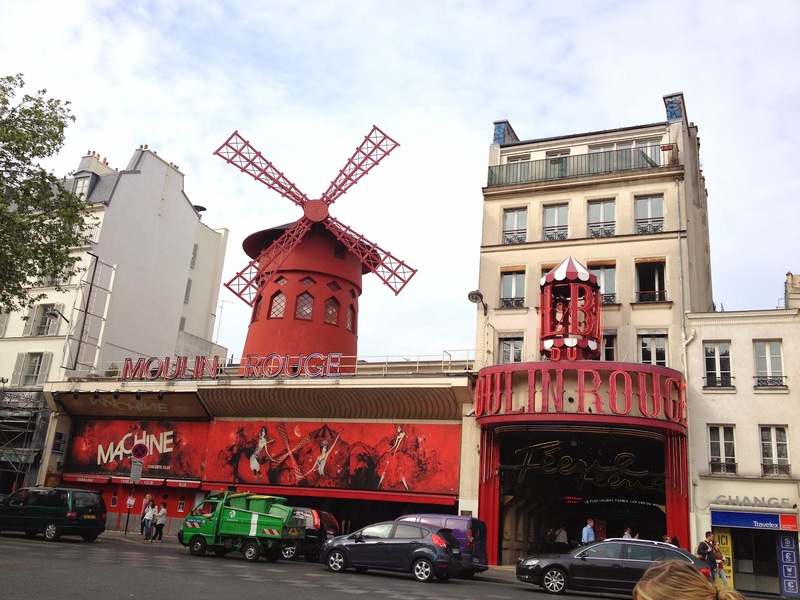 We saw the famous Moulin Rouge, visited the Basilica of Montmartre, and other iconic landmarks. It is the art district of Paris. Because it was Saturday, it was bustling with people and it was a pretty wild part of the city. Artists walk around with sketch pads asking to draw a picture of you for a price. I didn't have one done, and avoided eye contact at all costs. Andrea and I sat down at a creperie and had a banana, chocolate crepe, yum, before heading down the famous Montmartre staircase to meet up with the rest of the group. That night we headed to our airport hotel. I had an early flight and needed to be up at 4:45 in the morning. 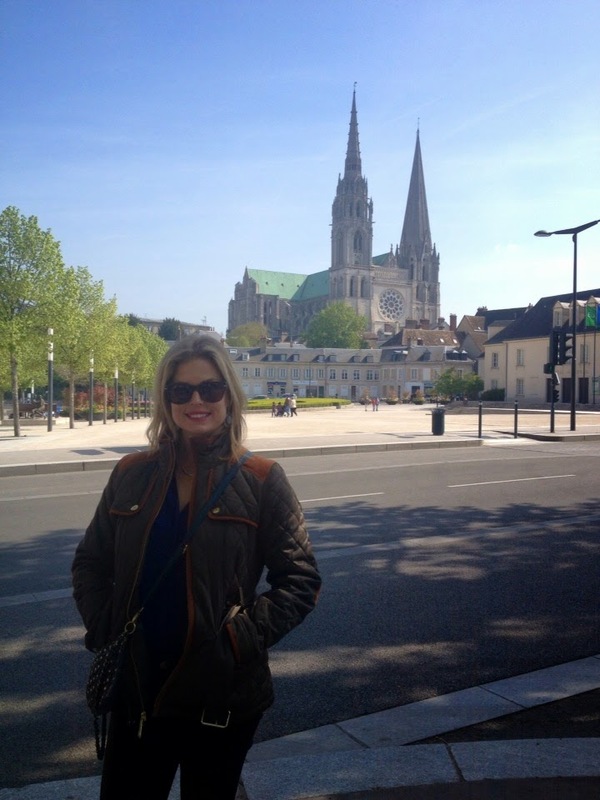 I LOVED and ADORED my first trip to France. I loved everything I saw and all my experiences were really positive. I only regret was not taking more pictures. I loved peace, quiet and beauty of the countryside. I loved using my French; I loved that the men there called me Mademoiselle instead of Madame. I loved the Eiffel Tower. I love that Paris fulfilled all my hopes and dreams, and I am so anxious to return! I will return, believe you me! I wish I took this picture. We walked down these stairs, but I didn't take a picture because they were insanely crowded with people. Not so picturesque.